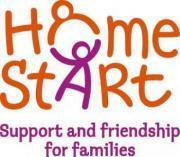 We are a family charity that works with young families who need a little extra support and friendship. We need both men and women who have parenting experience to join our team of dedicated volunteers and befriend a family that needs just that little extra support. Our next preparation course starts in September and runs for 5 weeks. Don't let any worries get in your way. Call us for a chat, pop in to the office or email us. Follow us on Facebook to see more information.